What can I do, right now, to start being more intentional about my life with God? How can I encourage genuine discipleship within my church community? These are two of the burning questions that most often bring people to Renovaré. One of the strategies we can recommend without reservation is the creation of Spiritual Formation Groups. All over the world, in living rooms, café’s, church basements, and back porches, small groups of ordinary people are meeting together to spur each other on in their lives with God. These Spiritual Formation Groups harness the power of and with often life-changing results for their participants. Spiritual Formation Groups are small (typically 2-7 members), and they meet together regularly (often weekly). They form for the express purpose of encouraging each member to become increasingly more like Jesus. Renovaré Spiritual Formation Groups members foster spiritual balance by learning together about the Six Traditions of the Church. They practice the related spiritual disciplines throughout the week and then share their experiences. They pray together, laugh together, hold one another accountable, and cheer each other on. 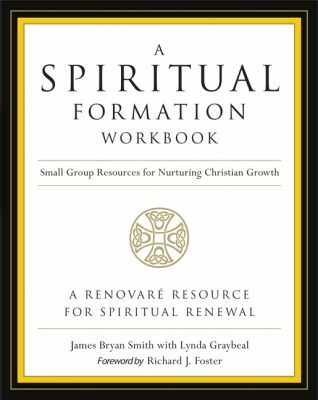 Purchase A Spiritual Formation Workbook or download free chapter: “Starting a Group”. Need a PDF of the Worksheet (p. 103)? We’ve got that, too! Please download it by clicking HERE. Have a question, an idea, or a progress report? We’d love to hear about it! Email us at [email protected].